Why we are always on the run? We hurry and run to get somewhere, to make things happen, to achieve, to impress. We want to be the good person, the good spouse, the good parents, the god children the employees etc... And we run, run and what the end of all this running? What is the end? Let’s begin with the philosophy of this world. From the time of out birth we enter into this world with all ready set programs and expectations upon us. School, marriage, children, grandchildren, get old and die. We bring forth the dreams of the generation before us and try to accomplish what they have set upon us. We come in this world’s way of thinking and we live our lives according to what is set and norm. And in the process to achieve we become tired, old and quenched. We burn out and commonly we hear people asking God to take them away. We surrender to death because that’s how it is. That’s what they teach us, that’s what we believe, that’s what happens. Can it be that there is another way? Our materialistic responsibilities can become a heavy load upon us. We worry about our materialistic survival so much that we put aside our spiritual needs, as we are only made from flesh. The demands are great.....Education, money, carrier, house, business, provide for ourselves and our children and our grandchildren.....The load can be very heavy and very hard. It creates hell. Fear, stress anxiety are the main elements of our life and the results are self destructiveness. We create confusion within our minds. The two forces from within are always in battle. We create confusion within our mind and this tears us apart. We become uncomfortable is our skin. We lose our peace and serenity and calmness. We want to be the good person, however, the materialistic wants and desires do not come without deceit, selfishness, deviousness and egoistic actions. With all that working for us, we become confused, full of gilt and alienated. Perturbation split us apart and creates unbalanced thinking. We become the tree with the good and bad fruit. No one can serve two masters for either he will the one and love the other or else he will loyal to the one and despise the other. You cannot serve God and mammon. Even so every good tree bears good fruit but a bad tree bears bad fruit. A good tree cannot bear bad fruit nor can a bad tree bear good fruit. Matthew 7:18. I hope I draw the picture of how the cares of the material world the running around to achieve dead things and the confusion of our minds becomes the heavy, hard load to carry. We have no time to pray, to communicate with god, to increase in faith, to learn what His plan is for us when He create us. If we can give God a chance to enter in our lives we will find out that He has a great plan for us. He intended for us to live with all kinds of blessings and prosperity. He provides the tools to us to live our life in peace and serenity. He has the way for us to think and maintain balance and harmony in our minds. The ignorance of the word of God can keep us away from the true way of life. Our problems are not from the external side but from the internal side of our existence. It is the internal aspect that has to be in order and in peace instead in confusion and in darkness. 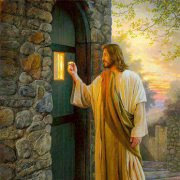 Come to Me all you who labor and are heavy laden and I will give you rest. Take My yoke upon you and learn from Me for I am lowly in hard and you will find rest for your souls, for My yoke is easy and My burden is light. Matthew 11:29, 30. For this is the love of God that we keep His commandments. And his commandments are not burdensome for whatever is born of God overcomes the world. 1) John 5:3, 4. 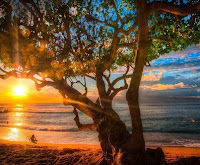 The world is a beautiful place that our Father has created for us to in forever with all serenity, harmony and love. It is our confused state of mind that does not allow God’s Will to take place in our life. God created earth to be a heavenly place for human to live and enjoy his riches. It is the time for us to seek the will of god, to find the purpose if human kind and to allow the word of god to transform the way we think and perceive life. Our life shall be full of the blessings and powers that god has promise to us. The word of God has the truth. The truth will set us free. If we devote the time to acquire the knowledge of God, His wisdom will increase with us. We gain the knowledge by creating a spiritual family around us. Sharing and supporting other fellowman which share the same goals and mind. We gain the knowledge by devoting time to read and study the scriptures. In the scriptures God talks to us. He introduces to us His way of thinking and His message. We gain the knowledge by praying to god. Prayer is our access to communicate with our father. It is the opportunity we have to ask, to listen to learn and to be given solutions and answers. Having a conversation with the divine power of our creator allows the mind to inherit the wisdom of God and to adopt His way of thinking. Prayer fills up with faith and trust in God and in His will. A person has to work to gain the spiritual virtues from God. A person is invited from God, to hold the brush and begin to draw life with the choice he makes. Having the trust and faith in Him, His miracle power which will live within us will guide us and teach us how to unload the heavy burdens of the care of the world. “Let’s seek the spiritual benefits and all materialistic benefits will be added to you”. 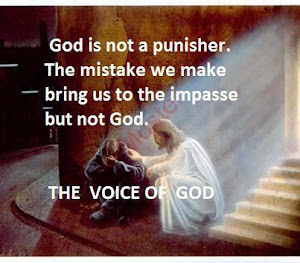 By us learning to hear and trust God’s voice, the confusion in our minds, the endless war and fears will vanish. 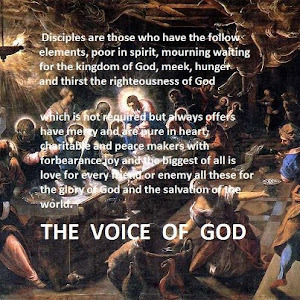 The voice of God brings along His own load which is love, peace and happiness. Serenity comes when we give the cares and the worries of our life to Christ (Word of God) and we allow him to bring us forth to his kingdom. This is to say of salvation. Let’s not leave it in the back burner. Today we make the decision to work with what we provided to gain eternal life. When we do nothing to change a problem or a situation, it will only get bigger. It is like a crack on a glass that it’s matter of time that will spread and break all the way. 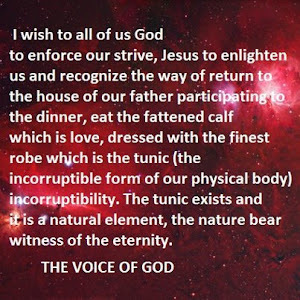 GOD’S WILL IS TO KEEP AND SUSTAIN US WHOLE, AS SOUL, SPIRIT AND BODY ETERNALLY IN HIS KINGDOM. AMEN. When it comes to healing our spiritual and physical condition our only hope is the word of God. When he says we’re forgiving let’s unload the guilt. When he says we’re valuable let’s believe Him. When he says we’re eternal let’s bury our fears. When he says we’re provided for, let’s stop worrying. Let’s ask our Father humbly, yet confidently, in the name of Jesus to remind us of the empty tomb. Let us see the victorious Jesus, the conqueror of the tomb, the one who defied death and let us be reminded that we too will be granted that same glory. God never turns away a sincere hart. And mercy is the choice that can set them all free. Faith is the one that opens the door to the promise of God and patience is the one that keeps the door open until the promise is fulfilled. Love is the one keeps us in the kingdom of God. 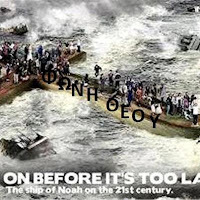 From the beginning of time, from Genesis the Exodus from Paradise, to Noah’s flood, to the tower of Babel we come across the result of sin, the disobedience, the inequity, the ego and division among the human race. What are the identities that consist in a human existence? What are the values that sustain a human life? What are the elements that define a human being? We believe that God lives within us. A human life consists of three identities. Soul is all the living experience of our existence. It is our thoughts, our actions, our creations that we live every single moment of our lives. Body is the materialistic form of our existence and it consists of flesh and bones. Spirit is the force, the power that sustains our human living existence. It is the energy that provides us with life. It is the gift from God that was granted to us to come to life. 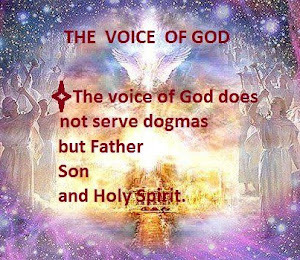 The spirit is the part of God from His part which he breath3d on us. 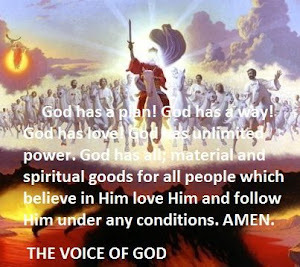 That part God, his part that lives within us, is capable to make us eternal, powerful and holy, like our God our Father. The spirit has the ability to transform us to the image and the icon of our creator as it was always meant to be. The spirit is the power within us to guide us, when given the opportunity, to reach our purpose and to gain our divine inheritance which is eternal life. A human is capable to have the ability to communicate with God through the spirit that lives within. From the beginning of time, humans have experienced and access communication with God. God has shown his existence and revealed his message through angels, visions, voices, signs and many wonders to human kind. The ultimate and most powerful message from God came from Jesus Christ. Jesus Christ became the incarnated word of God; he allowed the spirit of God to abide in him to guide him and to able him to become God Himself. Jesus became the first son of god to inherit the identities of his Father which are holiness, power, immortality, incorruptibility and everlasting life and to reign forever. Through adopting the elements of God, love peace and happiness, Jesus was granted the power of the Holy Spirit to guide him and transform Him to the likeness of his Father. However Jesus did not do this only for Himself. He showed the way to us so we can also be guided and transformed to the likeness of our Father. Any of us are capable to do the same. God love us all. He created us to his image and to his icon. He provided a part of his part within access to us. He granted us Jesus to show us the way and open the gate to eternal life by allowing his sacrifice on the cross. WHAT ARE WE WAITING FOR? Ego is the blinding force which does not allow us to see our value, our worthiness and our purpose. By us perceiving what is around us with of “me , myself and I” it becomes the cause of feeling small, unprotected and insecure. We feel alone and we deceive ourselves with the notion to depend only to ourselves and to materialistic assets. We need to work hard to achieve assets, financial investments so others can love us and respect us. These needs lead to disappointment, dissatisfaction, unhappiness and bitterness. Perceiving life with an egoistic mind limits our vision to the truth and creates many fears and insecurities. The power of ego tricks the person to misperceive the truth about love and installs doubt and feelings of selfishness and possessiveness. So where as the truth is “give and you shall receive,” “Do not fear therefore; you’re of more value than many sparrows,” “Seek the spiritual and all materialistic will be added to you” the ego thinking mind makes a person believe that we have nothing to offer to others it’s all ours because we work hard for what we have and we need it for ourselves. Ego is a destructive force to our selves. Anything that is driven by ego becomes negative. It distorts the truth. It wants us to defend and protect our lives with a weak negative mind full of weakness and vice. It provides us with destructive weapons where instead of protecting us they turn against us and destroy us. Even loving someone, when ego gets involved that love can become a torture. Ego is insecure and carries jealousy and malice. “Awake” says the Bible. What it means is to be aware and to be able to judge what lives within us. Our thoughts, our perceptions, our thinking process, our intentions, must be examined. What are we driven by? Which force is the power within us? God’s promise to us is the eternal life. Jesus showed us the way to overcome the power of corruption from within us and he gave us the method we need to do so in His Scriptures. We have access to open conversation and to communicate with our heavenly Father and to ask for guidance and enlightenment and mercy for our protection. We have nothing to worry about. We have nothing to be afraid of. 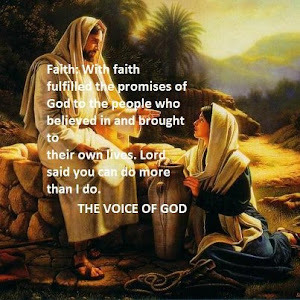 We must believe in the power of God’s part in us from His part and to believe that God create us to be eternal like HIM. Humbleness is to believe that I am God’s child. That God lives within me and without Him I am not able to do nothing. Even to live I cannot do. He brought me in this world; He granted me life and supplied me with all that i need to live life in a kingdom of love, peace and happiness eternally. If we can bring ourselves to remember this every day, it will become our way of thinking. This information will manifest in our mind and it will free us and liberate us from the heavy load of ego’s power. Our example Jesus Christ, whatever he did said and acted upon he did it in the name of his Father. He became the obedient child of God and a servant of mankind and that gained him the authority to be the savior and the leader of humanity. 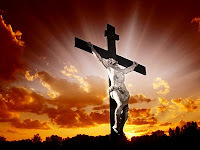 He obeyed his father and went on the cross for the love of God and humans and to give His life for ransom and the remission of sins. He became the sacrifice of love and opens to us the gate to salvation and to eternal life. Do we obey and love our God? Do we serve others? Do you know by serving others we fight demons of jealousy and egoism and allow access to god’s spirit to help us and protect us? Let’s show our Father that we are interested and serious to trust in Him and serve Him. The endless pursuit of things that leave us empty, hollow and broken inside cannot be pleasing to God. One source of man’s weariness is to pursuit of things that can never satisfy. But which one of us has not been caught up in that pursuit at some time in our lives? Our passions, our procession and pride, those are all dead things, When we try to get life out of dead things the result is only weariness and dissatisfaction. When we pursue what is from above “the spiritual things” then we feel strong, happy, peaceful and secure. Humbleness clears the mind and we can perceive God’s spiritual thinking, understand His word and comprehend His plan with clarity. With humbleness we can feel the love that god has for us and enter in His wisdom. Humbleness is the foundation of all virtues. Humbleness is our protection and our defence from all negative power, corruption and death. Humbleness, it is the safe way to God’s Kingdom. The most powerful life is the simplest life. The most powerful life is that life that knows where it’s going that knows where the source of strength is and the life that strays free of the clutter of earthly desires, judgment and ignorance. 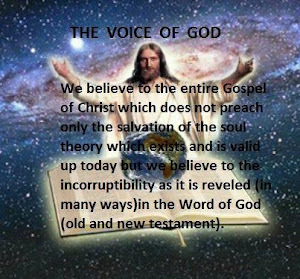 Jesus Christ ---the incarnated word of God. Christ is the mission accomplished. Jesus was not born as Christ. He became the Christ. Jesus was confirmed and he became the anointed One. He became the Son of God and inherited God’s identities. He is the one who is the icon and the image of the Father. He has the identities of our God which are incorruptibility, immortality and holiness (sanctification). Jesus was a man who overcame the world and its belief system. He believed in his Father promises and fulfilled the mission from the Scriptures to become the Messiah. He allowed the Holy Spirit to abide in Him. He obeyed the Father and did His works. He did not lose focus. That same Spirit is also within us. 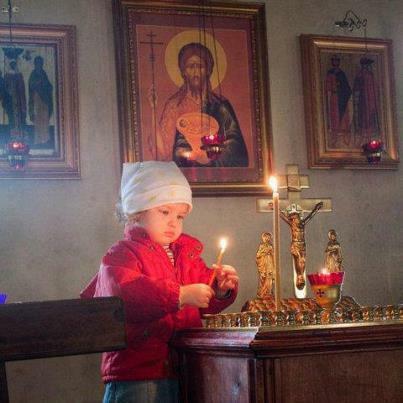 It is always ready to help us, nourish us, strengthen us and guide us to salvation. It will not ask us to close the TV or to pick up the bible to read. We have to take the initiative to read, pray and seek to communicate with the power within us. Hesitation is lost time. Let’s not let that power that is granted to us and has the ability to transform us to the icon and the image and likeness of our Heavenly Father. It was always the plan of God for us to be his children. Thank God for Jesus that revealed the truth and sowed us the way to become the sons and daughters of the incorruptible, immortal and Holy Father of His. Let us discuss some helpful ways to stand fast in the battle to the road for incorruptibility. A road that contains the fruits and the gifts of the Holy Spirit the virtues and the promises of our Father. It is a road full of experience, achievements, challenges, advancements, eliminations and progression. 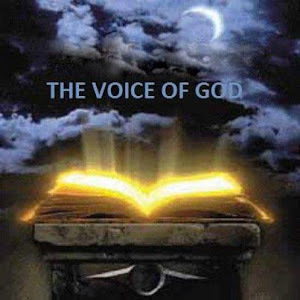 Knowledge--- to gain the knowledge of the word of God, like any other knowledge, we must devote time to read the Bible. 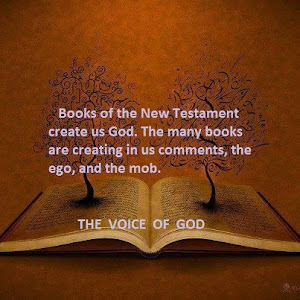 By reading the Bible we get exposure to who is God. We discover God’s thinking and what are his commandments. We get to know who He is and what god we believe in. By studying the bible we introduce God’s way to our life. The bible teaches us spiritual science education. Spiritual science studies, educate us to be spiritual human beings. It says in the bible “First come natural man and then the spiritual. The spiritual is the life giving Spirit.” The bible shows us how to enter and activate the spirit of God within us. It enlightens our mind to see with spiritual eyes and to understand the purpose and existence. We receive powerful, life changing, true messages. We receiver faith, hope and a renew mind. We learn of the connection of God and Human and the promise from god to human kind. Prayer --- knowledge help us to get to know God and to set goals for ourselves. The promise of god will take place in our lives when we believe in them and ask for them to happen in prayer. Let us think continually and repetitive the goals we want to achieve, the promises we want to see and the miracles that we want to happen. These are the thoughts that shall dominate visitors in our mind. We shall be persistent and do not work to build on them and make them strong in faith with visions and signs. Our eyes will be filled with signs proving the fulfillment of the promise of God. When god told Abraham he shall have a son and he will inherit a nation, Abraham was an old man himself, and Sara, his wife was unfertile and past bearing age. God showed this thought to Abraham and the way to visualize this promise. He told him that as many stars the sky has that’s how many children he will inherit. Imagine how many days, how many years Abraham worked on this thought for it to take place. 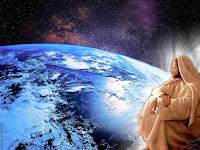 How many times I wonder Abraham glanced on the sky at night with the stars and called upon the promise God made to him? Out words --- Jesus revealed to us that the word has authority. Therefore when we talk we shall take heed to what comes out of our mouth and be aware of the intentions that are hidden in ourselves. What comes out of our mouth is what defile us (Jesus). To be able to judge what we are about to say and filter it, is wisdom of God. Also, when we study or talk about the word of God let us have the positive faith and the graceful power of Jesus. That’s how we bless the word and it happens. 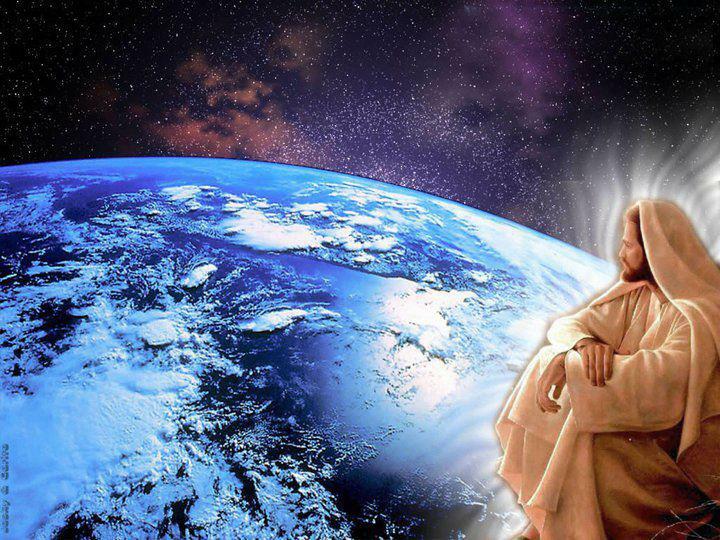 God said first for the world to be created and then it did happen (Genesis). Jesus told first to Lazarus to come out from the tomb and then Lazarus came out. The word has power. Let us combine it with faith, love and hope to gain the inheritance promised to us from our Father which is eternal life. Judge and examining our own self is beneficial to our won betterment. However, the judging and the criticism of others are not beneficial to us. Actually it is harmful. It is the job of evil and we are doing it for him. We have no right to judge others. Sometimes we fall to the trap and criticise the other people for preaching Jesus the way they understand Him. We do not judge directly the word of God, but we judge different ways of people worship and practice their faith. How in the name of god we can unite if we criticise and judge each other? How much poison we transmit and transfer to each other? 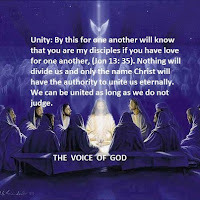 Especially to others that work to spread the word of God in different dominations? Let us begin to pray for each other, bless one another and the works of God on earth. Let us be reminded not to ignore the Spirit of God that lives within us. Let us ask and seek the power of the word of god and His wisdom. Let us pray with faith, and work continuously in our mind, the thought of the promise of incorruptibility, immortality and eternal life promised to us from our Creator. Let us be aware and vigilant of what comes out from our mouth. AMEN. Αναρτήθηκε από Tom Tiligadas στις 3:35 π.μ.